Well, we’ve been home from vacation for far too long (boo!). But when we first got back I had to jump straight into my insane time at work. Then I came down with a cold (which I’m still nursing….this thing will never end) and I didn’t feel like getting on the computer much. But now it’s time to sit down and “document” our vacation. Now, on to the trip. We flew out of St.Louis down to Ft. Lauderdale the night before our cruise was to leave. 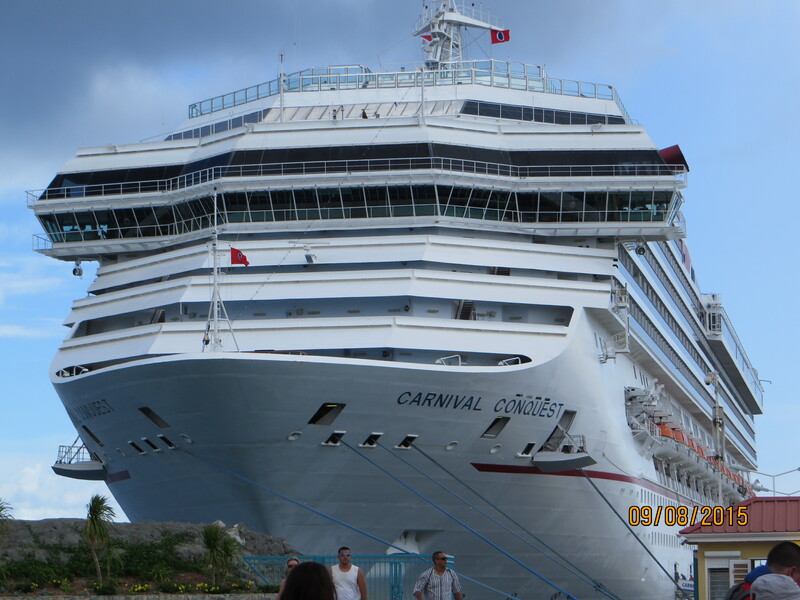 We were booked for an 8 night cruise on the Carnival Conquest visiting St. Maarten, St. Thomas, Antigua and Nassau. Carnival is not usually our first go-to cruise line, but I really fell in love with the itinerary, plus the price was good. That being said, we were actually pretty happy with our experience on Carnival this time around. The Conquest is a nice ship, but it is showing its age in a few spots and could definitely use a little bit of a refresher in the near future. But the crew really made this cruise exceptional, I was extremely pleased with the service we received throughout the trip. We started our cruise with two full days at sea. When I was a kid I used to love days at sea because it meant I could spend most of my time with the other kids in the kids club. Garrett wasn’t too impressed with the kids club. He went 4 nights for about 2 hours each, so we did get some free time to ourselves, but not as much as we had hoped for. 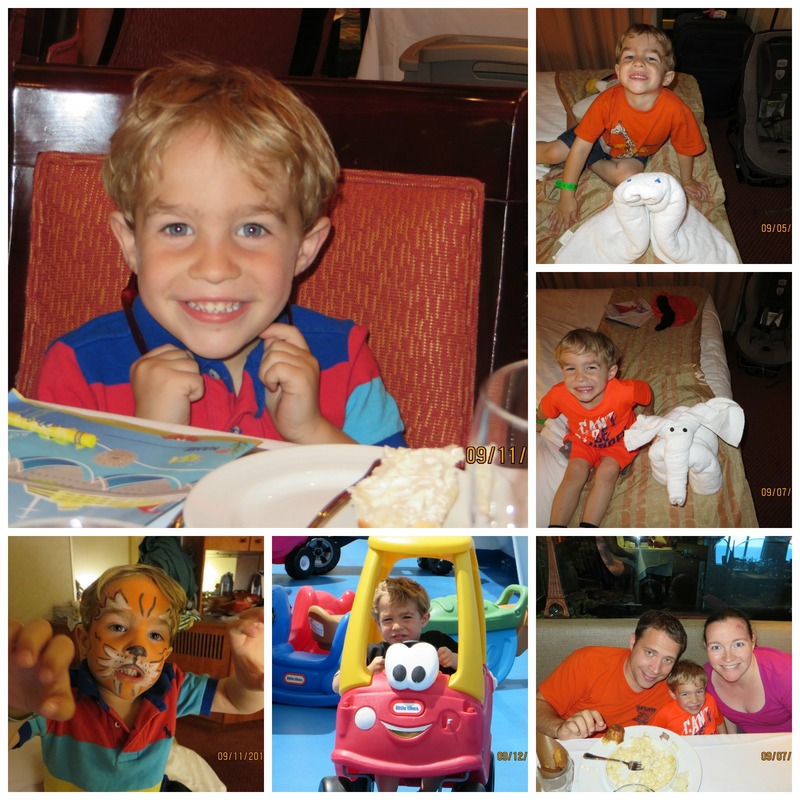 I hope by the time we go on our next cruise he will enjoy the kids club much more. 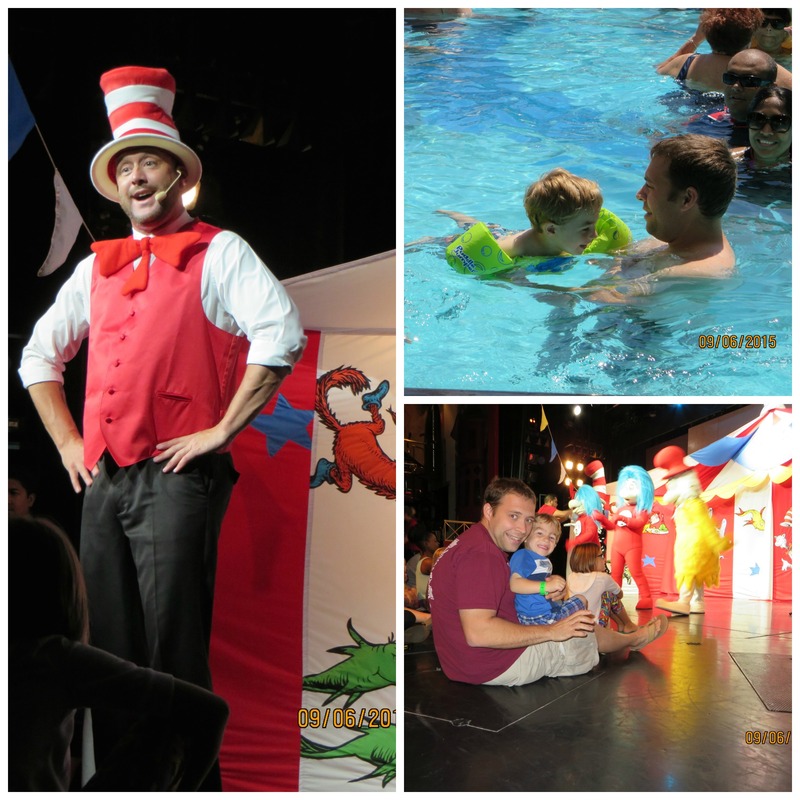 So the first two days at sea were spent with some time at the pool and a really cool Cat in the Hat parade/story time! Garrett loved seeing the Cat in the Hat!! Our first stop was St. Maarten. We chose to do an excursion to the Butterfly Farm. 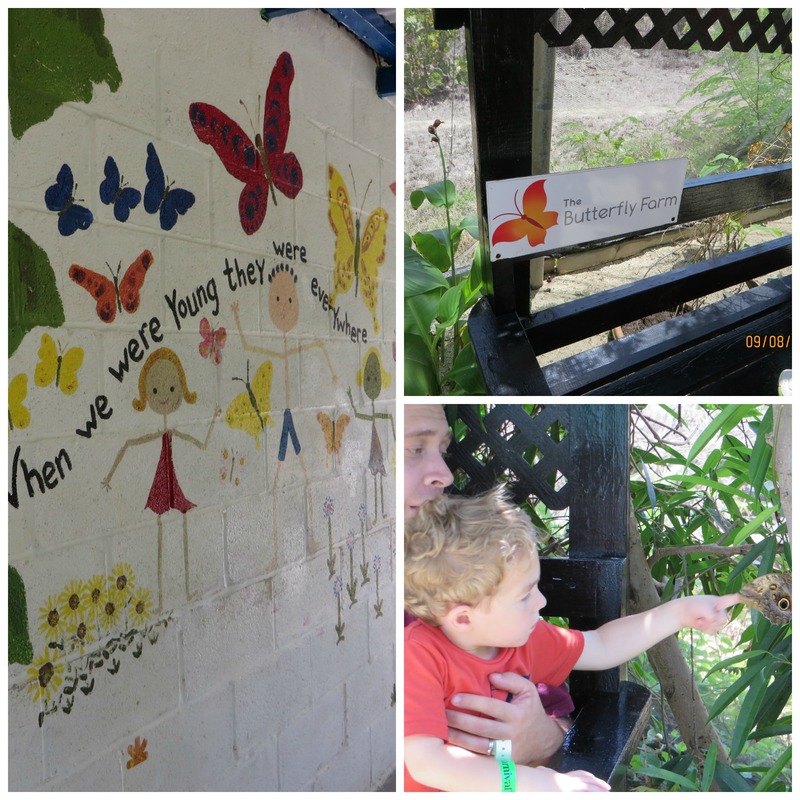 We obviously had to choose kid-friendly excursions, and while this would not have been something we would have chosen if we were cruising child-less, we really enjoyed our time at the Butterfly Farm. Garrett was a little leery at first, but he soon warmed up to the place and really enjoyed seeing the different colors on the butterflies. Overall, St. Maarten was just an okay place in my opinion, they never really recovered from the terrible hurricane 20 years ago, and the French side is having some issues with really high property taxes, so St. Maarten was not exactly as nice as I had come to imagine it (my parents went shortly before the hurricane hit and have raved about the island all these years – so I had really high hopes). But we did enjoy being there for a day trip. Next up was Antigua. We just planned a simple beach day. The last time Garrett had been to the beach he was about 18 months old. He was not impressed at that point, so we really didn’t know how he would respond. He’s quite particular about his hands being clean, so I didn’t figure he would be all that interested in digging around in the sand (he gets that little “quirk” from me – and I hate sand, the darned stuff gets everywhere.) But he ended up really loving it. Him and Nathan had to build the Mickey Mouse Clubhouse sand castle, ha! Nathan was mad at me that I didn’t pack his shovel and pail for the beach, but we just didn’t have the room! St. Thomas was our third stop. Once again we chose a simple beach day. But this beach was absolutely gorgeous! 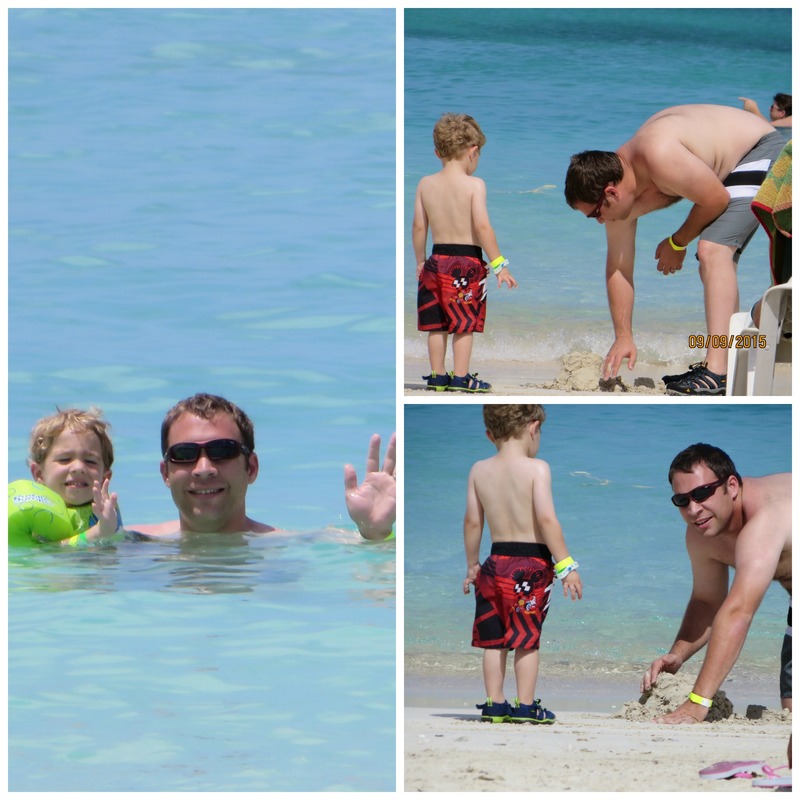 We were at Magen’s Bay. Just such a beautiful place!! The trip there was a little crazy, quite hilly and such, but the views were stunning. I would highly recommend everyone to check this beach out if you’re ever in St. Thomas. 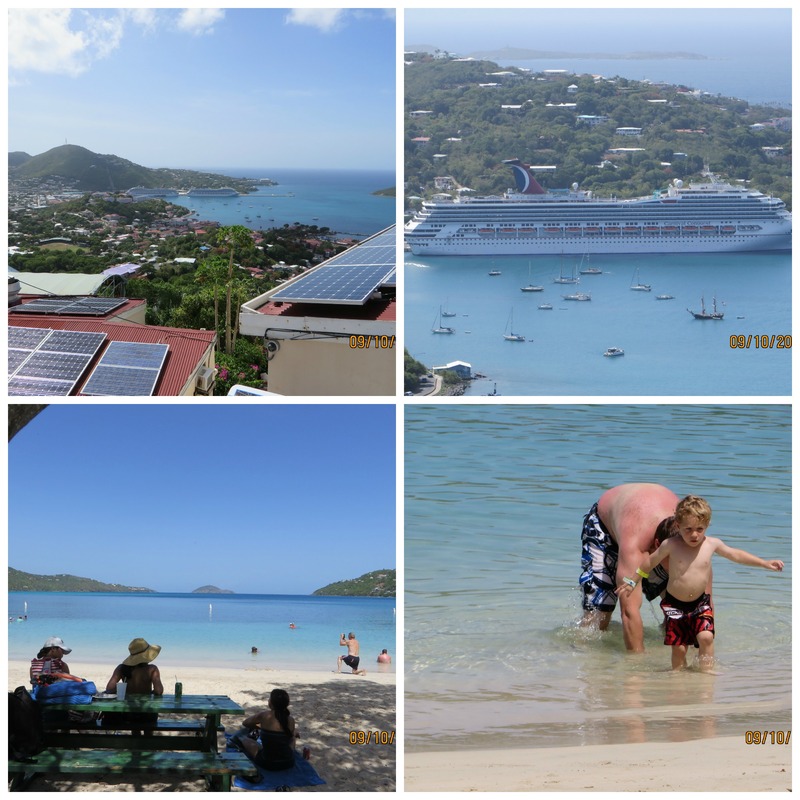 Also, St. Thomas is definitely an island that Nathan and I would love to go back and stay like a week at sometime in the future – we enjoyed it that much! Then we had one last day at sea. This was the day Garrett loved the most. 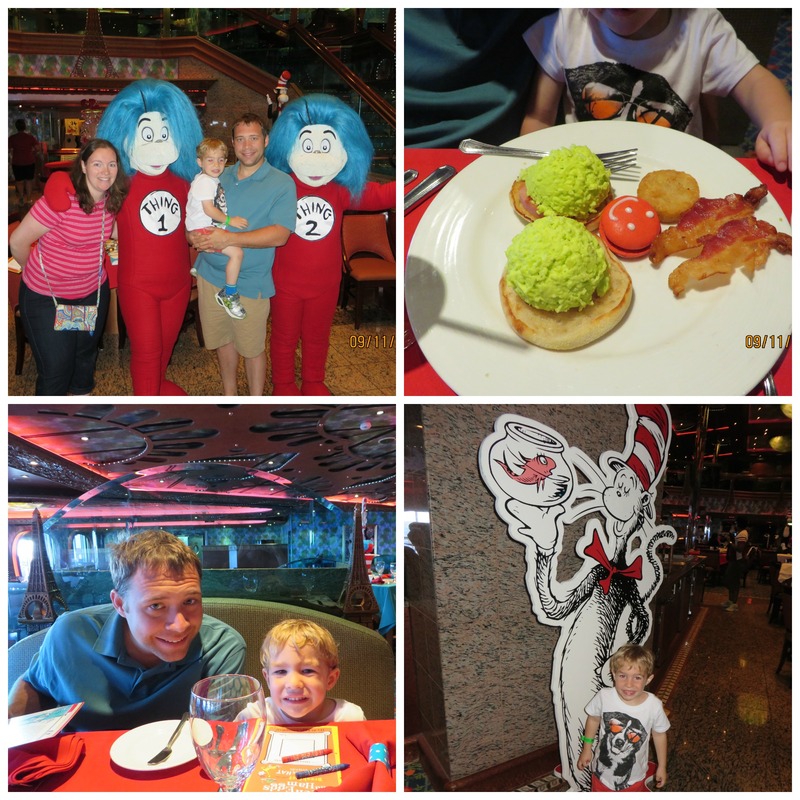 We got to do the Cat in the Hat breakfast! He was in heaven! This was also where my camera died (I had a second battery … back in the cabin!) so I only got a few shots here. I couldn’t believe it, but he even ate the Green Eggs and Ham. He’s a pretty picky eater, so I didn’t really know how he would take to the eggs being green, but he didn’t even notice! He was just too enthralled with everything going on around him to even notice, probably! It was a really cute thing the ship put together for the passengers. Nathan and I even enjoyed it! Our final port was Nassau. Nathan and I had been to Nassau once before on a cruise, and we had a lot of trouble deciding which excursion to choose. 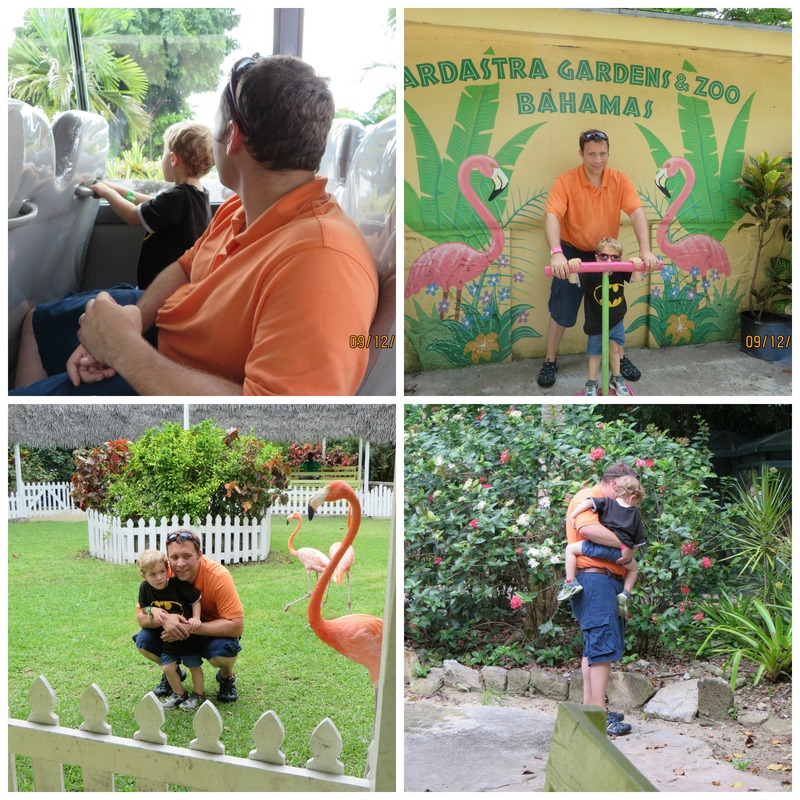 We wanted to head out to the Atlantis Hotel, but we figured it probably wouldn’t be ideal for Garrett (he hasn’t had swim lessons yet), so instead we decided to do a city tour with a stop at the Ardastra Gardens. We figured we really couldn’t go wrong with a zoo stop for our animal-obsessed son! We just had such a wonderful time. I can’t wait until Katelyn is older and we can go as a family of 4 – what a wonderful time we will have!! Next postSometimes I just got nothin’…. Beautiful pics! Glad you had such a wonderful time. Looks like Garrett had a great time too.